Trump said in one of three tweets on the subject on Monday morning that the U.S. will begin "cutting off, or substantially reducing" aid to three Central American nations over a migrant caravan heading to the U.S. southern border. 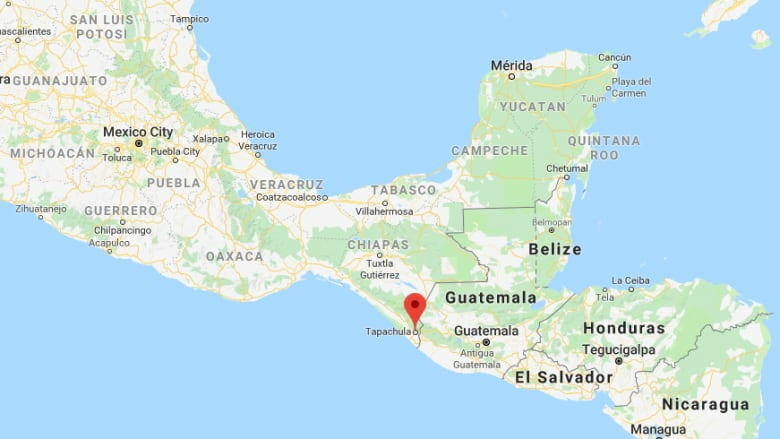 "Guatemala, Honduras and El Salvador were not able to do the job of stopping people from leaving their country and coming illegally to the U.S," he said. The three countries received a combined more than $500 million US in funding from the U.S. in fiscal year 2017. The Trump administration proposed steep cuts in aid to Latin America and the Caribbean in its very first budget — ranging from 20 to 40 per cent for most countries — but Congress rejected the plan, keeping funding relatively stable compared to previous years. Any decisions on aid have to be approved by Congress, which could have a different composition depending on the results of the midterm elections on Nov. 6. With those midterms drawing near, Trump has emphasized immigration, targeting the caravan. The president's focus on immigration politics comes as he seeks to counter Democratic enthusiasm in November. Trump believes that his campaign pledges, including his much vaunted and still unfulfilled promise to quickly build a U.S.-Mexico border wall, are still rallying cries. The hardline rhetoric may be popular among the red state rural Republicans who will play an outsized role in the top Senate contests. But it may further alienate the moderate Republicans and women in the overwhelmingly suburban races that will decide the House majority — including several in Texas, California and Florida that feature large Hispanic populations. On Monday night, Trump called the caravan an "assault on our country" and suggested, without citing evidence, that "Democrats had something to do with it." He added: "We need a wall built fast." A team of Associated Press journalists travelling with the caravan for more than a week has spoken with Hondurans, Guatemalans and Salvadorans, but has not met any Middle Easterners, whom Trump suggested in a tweet earlier Monday were "mixed in" with the Central American migrants. Even though the goal is to reach the U.S. border, she said, "We only want to work and if a job turns up in Mexico, I would do it. We would do anything, except bad things." 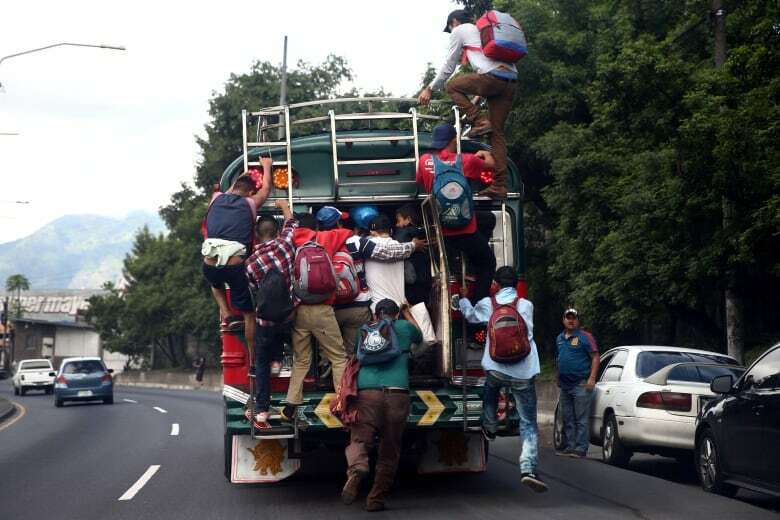 Denis Omar Contreras, a Honduran-born caravan leader also with Pueblo Sin Fronteras, said accusations that the caravan is harbouring terrorists should stop. U.S. Secretary of State Mike Pompeo met with Mexican officials on Friday, and the president at times last week praised Mexican efforts to keep migrants from advancing past Guatemala. But on Monday, he tweeted: "Sadly, it looks like Mexico's Police and Military are unable to stop the Caravan." Trump added, in a misspelled tweet: "I have alerted Border Patrol and Military that this is a National Emergy." White House officials could not immediately provide details. An immigrant rights activist travelling with the group accused Trump of using the caravan to stir up his Republican base. It was unclear whether the president's tweets or comments had any policy implications. A Pentagon spokesman, Lt-Col. Jamie Davis, said the Pentagon had received no new orders to provide troops for border security. 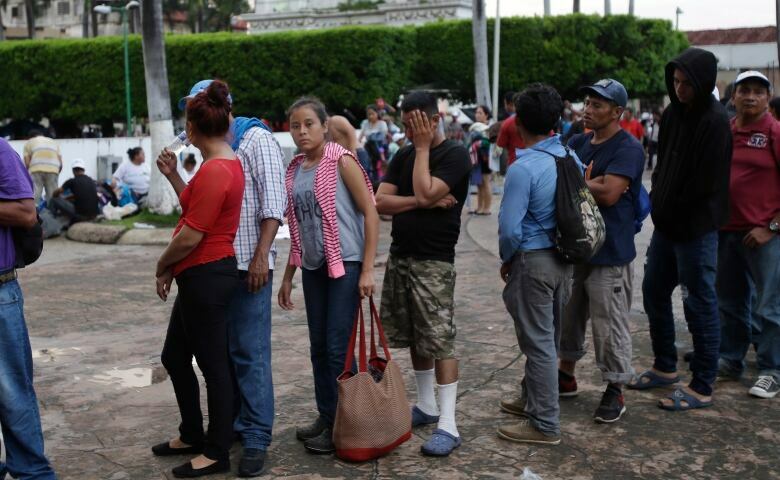 And a State Department official said the agency had not been given any instructions on eliminating or reducing aid to Central American countries. A 19th-century federal law restricts using the Army and other main branches of the military for civilian law enforcement on American soil, unless specifically authorized by Congress. An earlier caravan in the spring led to the U.S. government amassing about 2,400 National Guard troops from four states near the southern border, although they are prevented by law from performing law enforcement duties or interacting with migrants. The military can provide support services to law enforcement and has done so on occasion since the 1980s in previous administrations, but usually to less fanfare than the Trump request. The Pentagon also said it was going ahead with plans to include Honduras among the South American nations that will be visited this fall by the USNS Comfort, a hospital ship that Mattis has dispatched to help relieve stress on medical care systems as a result of refugee flows from Venezuela. 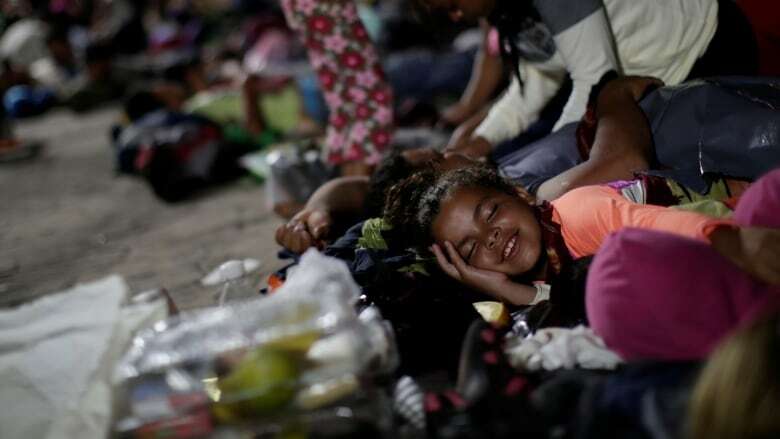 The Comfort began treating patients in Ecuador on Monday and is scheduled to make stops in Peru, Colombia and Honduras, according to Pentagon spokesperson Col. Rob Manning. "The deployment reflects the United States' enduring promise of friendship, partnership and solidarity with the Americas," Manning said. Mexican president-elect Andres Manuel Lopez Obrador suggested Sunday that the U.S., Canada and Mexico work out a joint plan for funding development in the poor areas of Central America and southern Mexico. In Ottawa today for meetings with his Canadian counterpart, the incoming Mexican foreign minister, Marcelo Ebrarb, described his government's plans further. "There are going to be many more work visas," he said. "We're going to invest in Honduras, Guatemala and El Salvador. There will be work opportunities, and we believe on all of this we can base a new Mexico can migration policy."